It's a celebration! Seven months in the making and it is done. 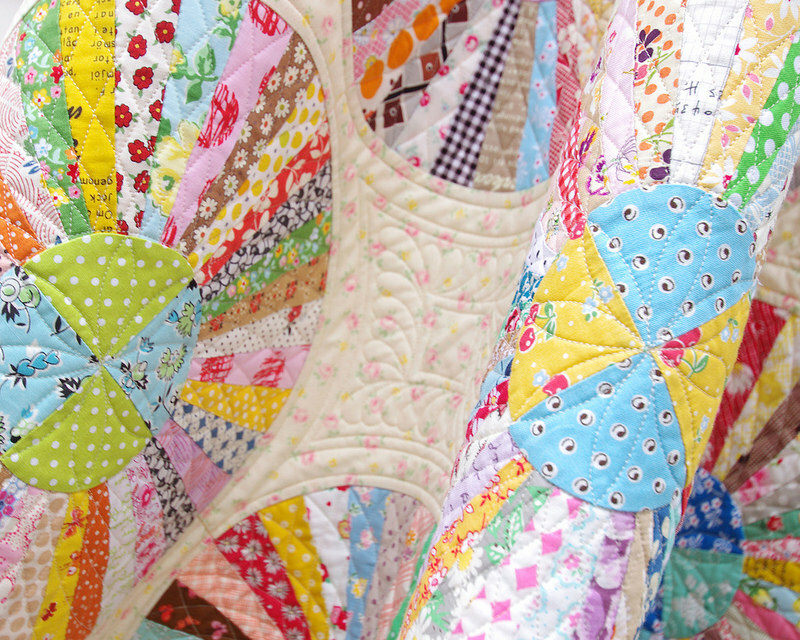 My Carousel Quilt may have sat idle for some of that time but it was never far from my mind or even from my sight. This quilt has taught me many things, including how to hand piece, but more importantly, that it is a process, and that it doesn't matter how you get there in the end, as long as you are happy with the outcome. And I am! While I set out to hand piece this quilt top I ended up finishing the piecing of the quilt top by machine. 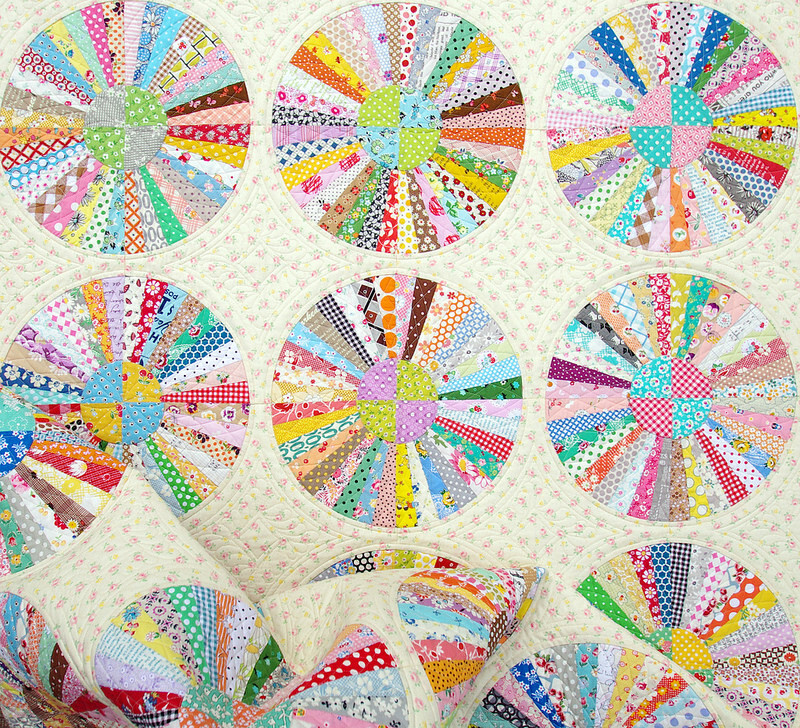 All of the arcs and large circles were hand pieced. Once the circles were complete the project sat untouched for several weeks until one evening I decided that I was done looking at it, and I pieced the circles and background fabric together by machine. Lots of curve sewing, all without pins. I then decided that to keep this project moving along this quilt needed some extra special quilting and I sent the quilt top off to the long arm quilter - Karen Terrens from Quilts on Bastings (Karen is also my sister). I told Karen to "go for it" but she also knows that I like my quilts densely quilted. To say I am thrilled with how she worked her magic would be an understatement! For the back of the quilt I have chosen a single pink floral fabric from the Strawberry Biscuit collection by Elea Lutz, and for the binding I have used an irregular stripe fabric from the Simpatico collection by Michelle Engel-Bencsko for Cloud9 Fabrics. It is an older fabric that I pulled from my stash, and the muted tone and color of the stripe worked perfectly with both the backing fabric and the quilt top. A Pattern by Sandra Boyle. (the pattern includes additional borders which I have omitted). Hand pieced and machine pieced. 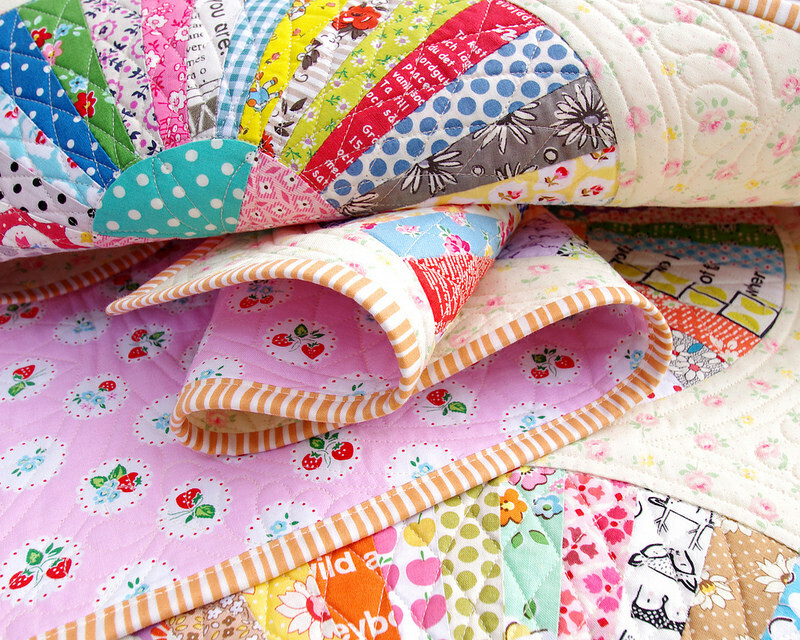 In excess of 550 patchwork pieces. by Atsuko Matsuyama for Yuwa Fabrics. Since completing this quilt I have been eagerly plotting and planning my next hand piecing project or even another English Paper Piecing project. Last week I thought I had found it ... and I started it. However it wasn't long before I figured out that I could just as easily machine piece it. And so it goes. Hopefully I will have a new quilt top to show you next week. Cheers to you and your sister! 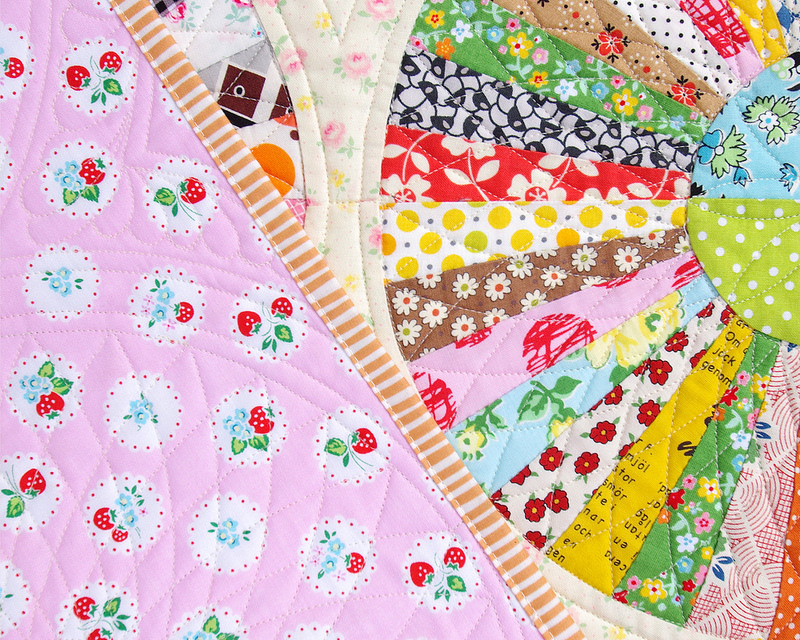 Karen's quilting is the perfect complement to your piecing. Bravo!! It's gorgeous Rita! 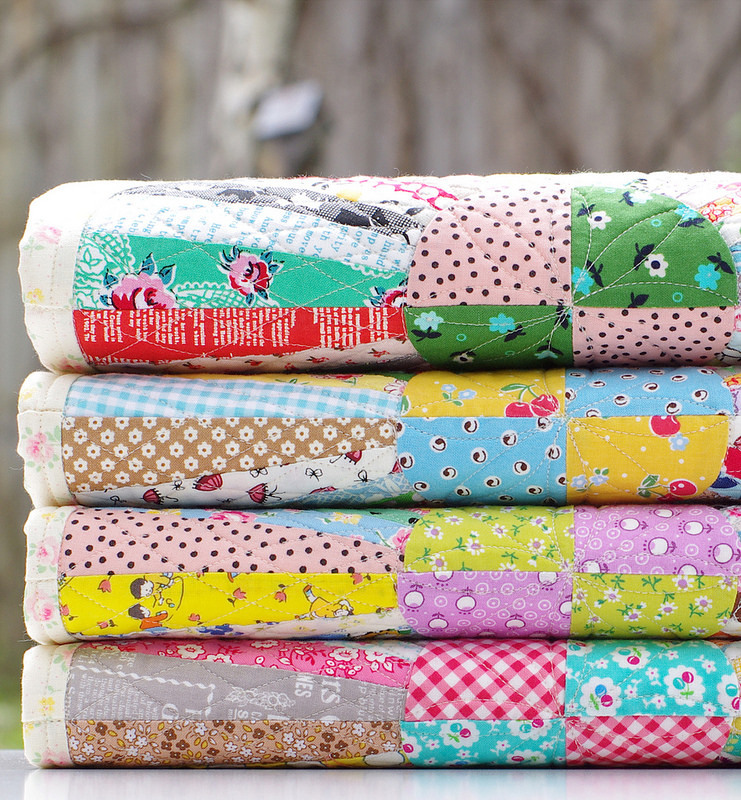 The fabrics are so fun to look at and the quilting is amaaaaazing! Thanks for sharing! What a wonderful quilt! 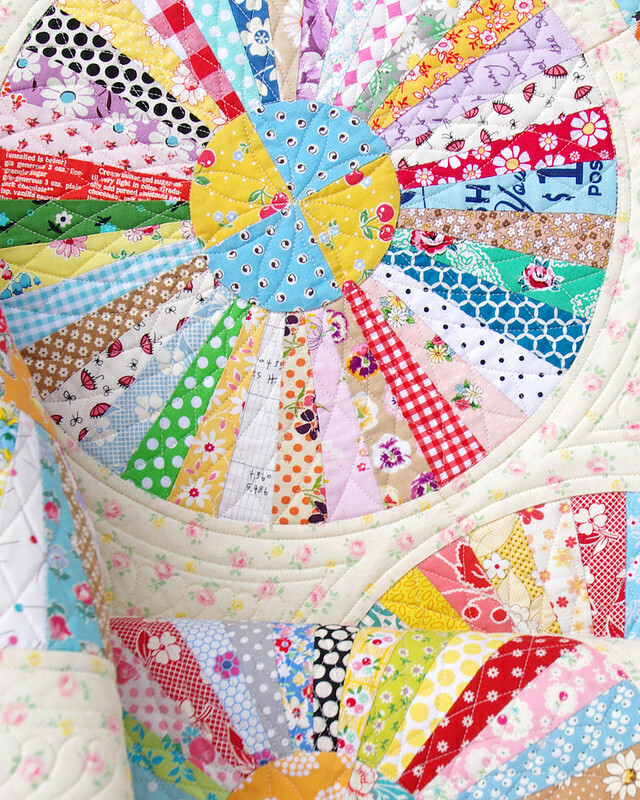 The curved quilting is fabulous! That is just a work of art! I was gasping. You are so talented, and to put that much work into it, it's amazing! Love it! Such a joyful quilt. 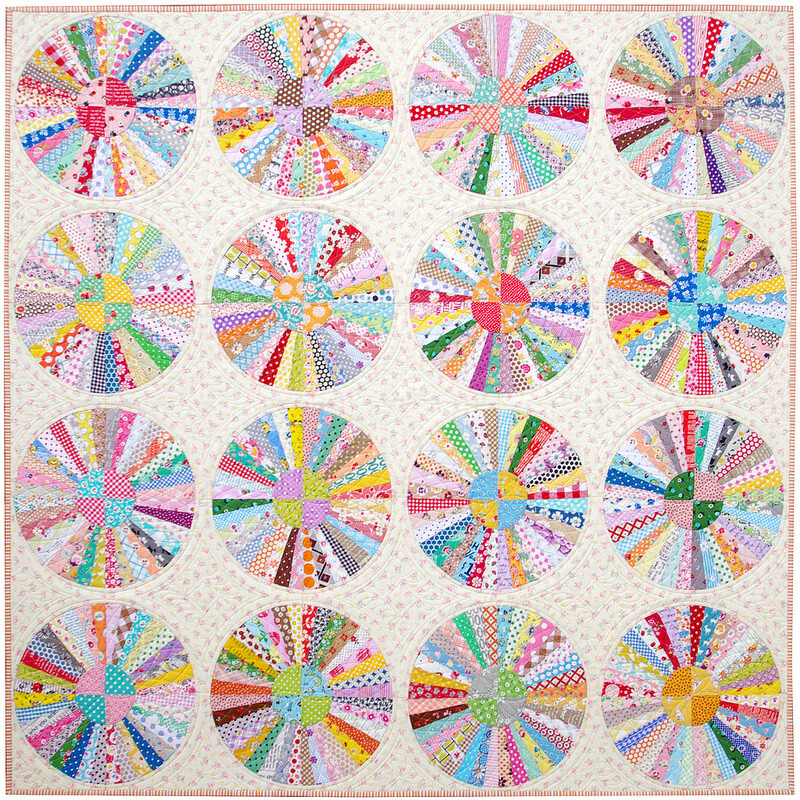 I love the contrasting colours in the circle centres and the quilting is perfect. Definitely one to keep. Fab Rita! This one is a fabric compendium...full of memories already. 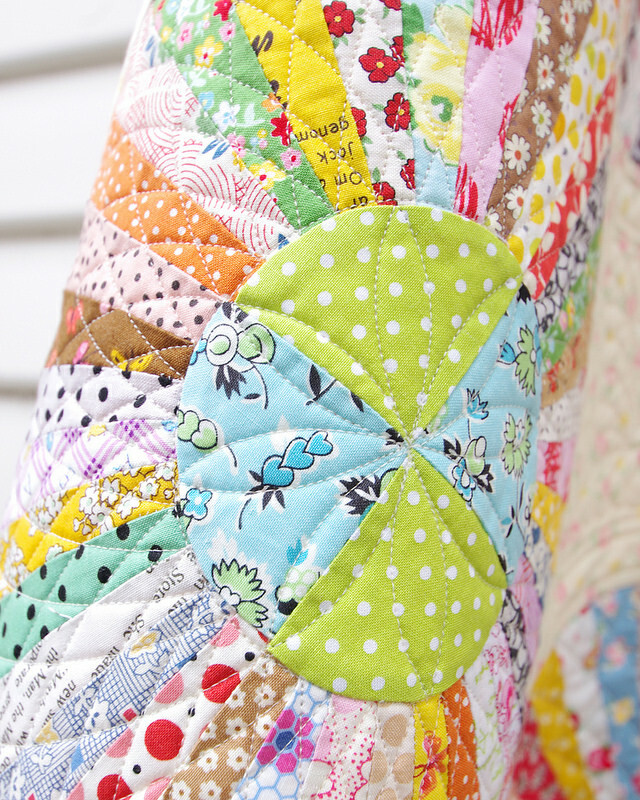 Beautifully quilted too. Wow! 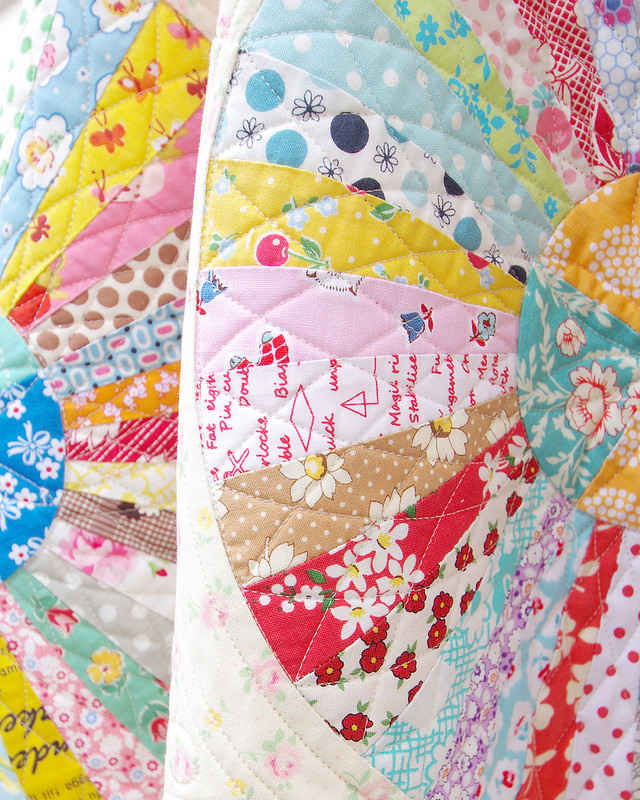 Stunning quilt, I love all the fabrics! That's beautiful! The quilting really makes the quilt. Wow lucky you to have such a gifted sister that both of you can work together on things. 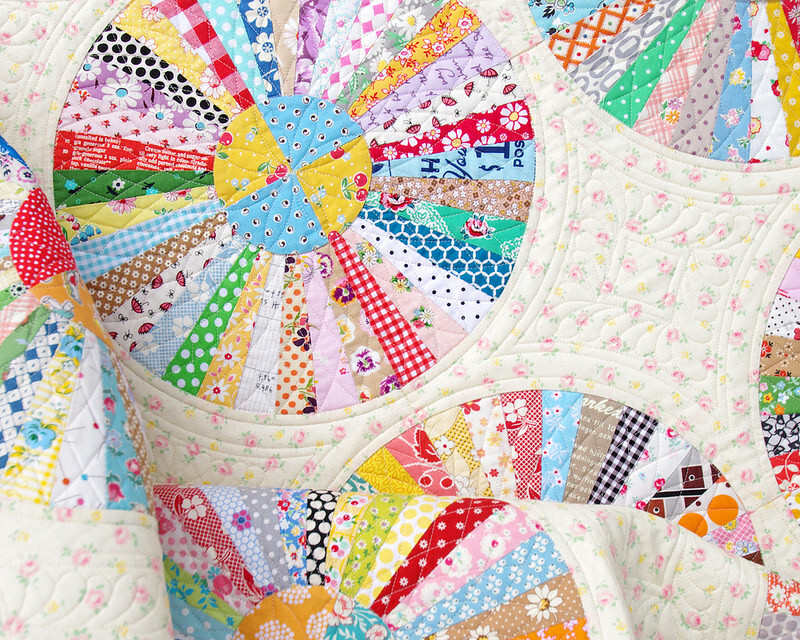 Absolutely gorgeous - the design, the fabrics, the quilting, everything! 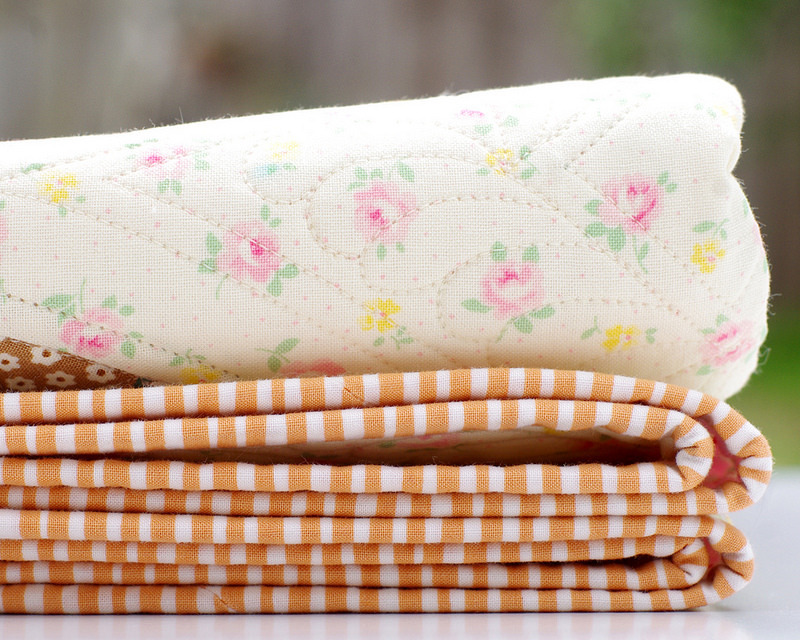 Dresdens are my favorites and this quilt couldn't be any better as far as I am concerned. Oh, I just love this, Rita. 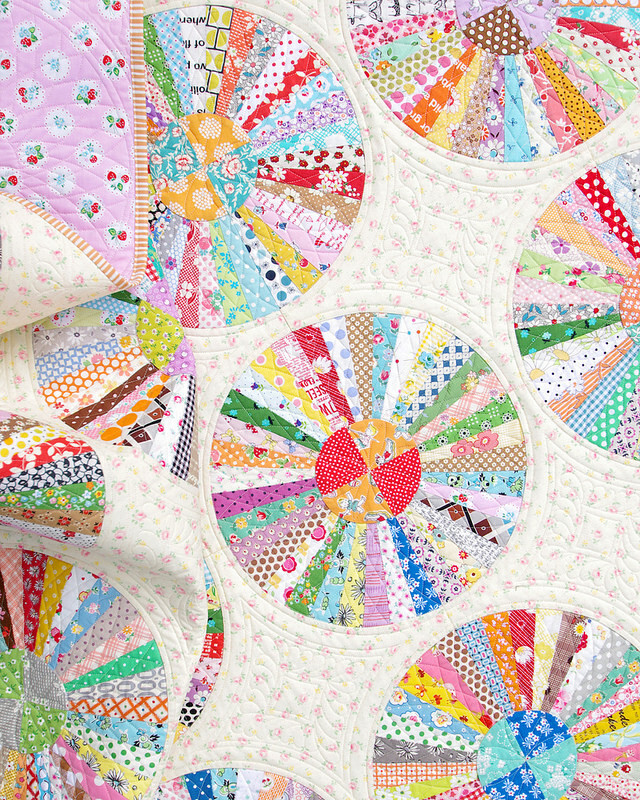 Of course I love all of your quilts but this one really seems filled with love! I did the opposite of you. I sew the Dresden plates on machine and then hand sewed them to the background fabric, took a long time with 14 inch plates. Now I need to add some fancy sashing I saw in a pattern. 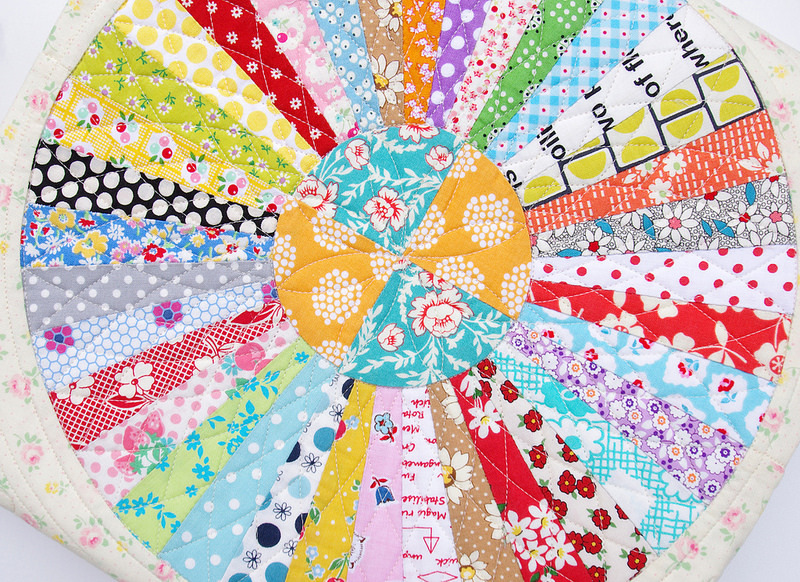 Your fabrics are very bright and colorful, love your quilt. 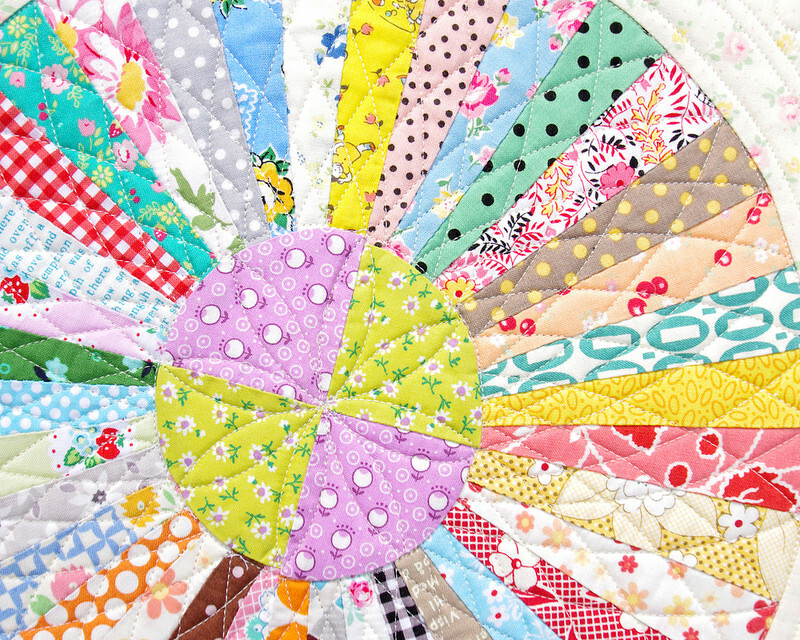 What a great quilt - love all the different fabrics, and the quilting is perfect! 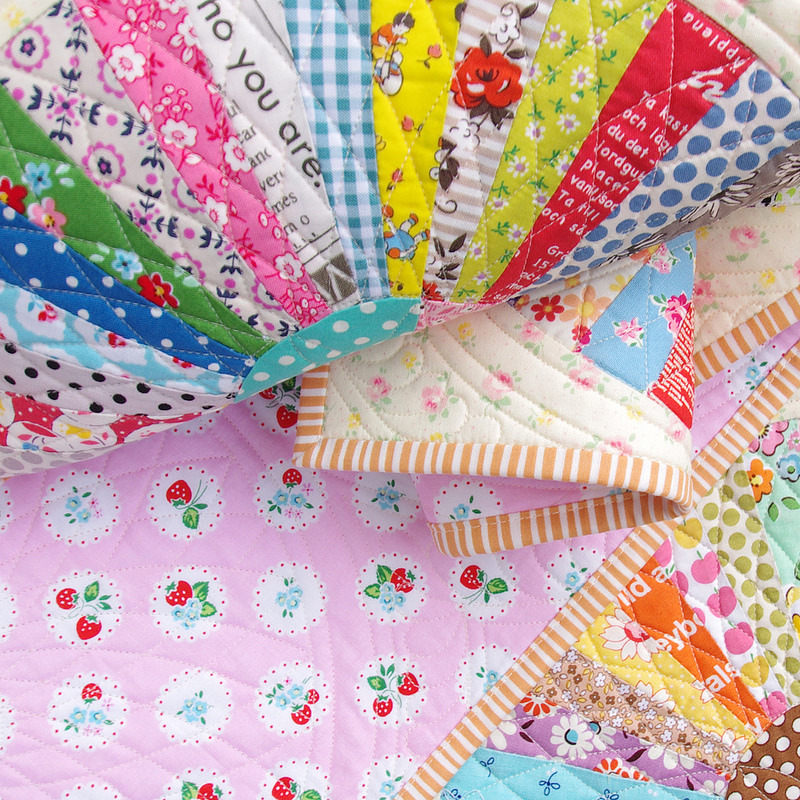 Very pretty quilt ! 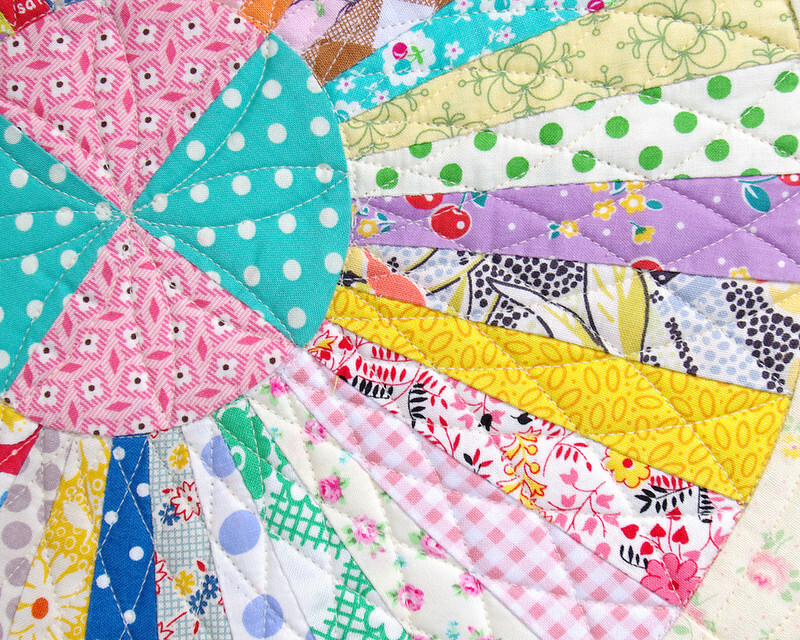 I just love all Dresden quilts. You inspire me. Lovely. I kind of figured you were keeping this one for yourself. Enjoy. You always amaze me! The background makes me smile. It looks very similar to the print of my first prom dress in 1972.